Happy FriYAY, my peeps! I am SO excited that the weekend is among us. I can’t wait to relax and hang! The weather is supposed to be great, so we will be heating the pool, having friends over and just enjoying life! I am SO excited to share today’s post with you. This gallery wall has been a long time coming. 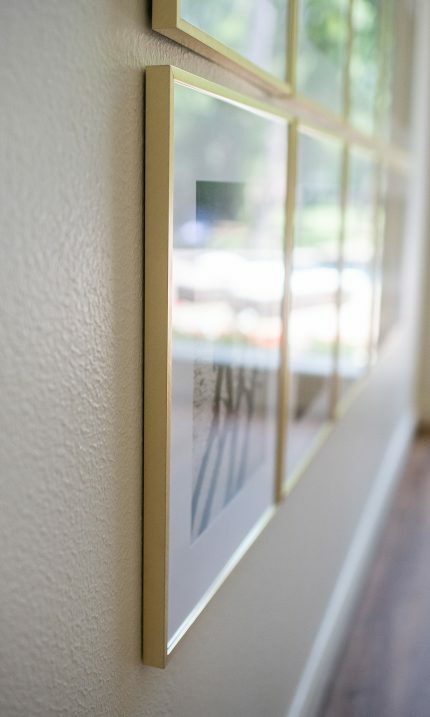 When we looked at this house for the first time (almost 3 years ago), I saw this wall, with an awkward builtin and immediately saw my dreams of a huge gallery wall. I finally had the builtin removed earlier this year and the big hole has been sheet rocked closed and painted and it was finally time for my gallery wall ideas to come to life. So, a few details about how this wall came to fruition. I pitched the idea to a framing company that had reached out to me for a project. 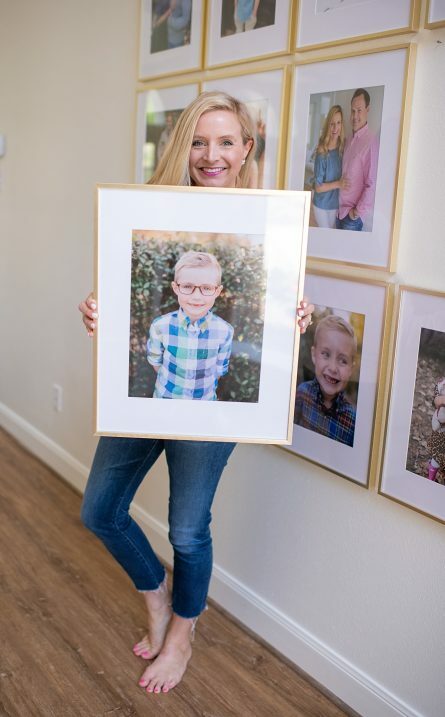 They said they would offer me one frame and out of 16-20 that I needed, it just seemed crazy price wise because it was over $230 per frame! Gah! I had another company reach out after that and again, I pitched them this project idea, again it was $220 per frame! $200+ times 20 frames and woah! That wasn’t going to work for me price wise. I did not want to drop thousands on this wall and I just knew we could do it on a budget. It took some searching though. After the initial frames I looked into, I searched high and low for great quality frames that weren’t a crazy amount, but frames that also looked nice. A few that I ordered, didn’t turn as I’d hoped. They looked cheap and just didn’t work with the look I was going for. So, I put the wall on pause for a bit and figured I’d keep looking for frames. My friend told me about these FRAMES one day when she was over and I was so excited! They are a gorgeous brass and you know I feel about brass, so needless to say, I was in love! I had purchased other items from this brand over the past and knew the quality would be great! 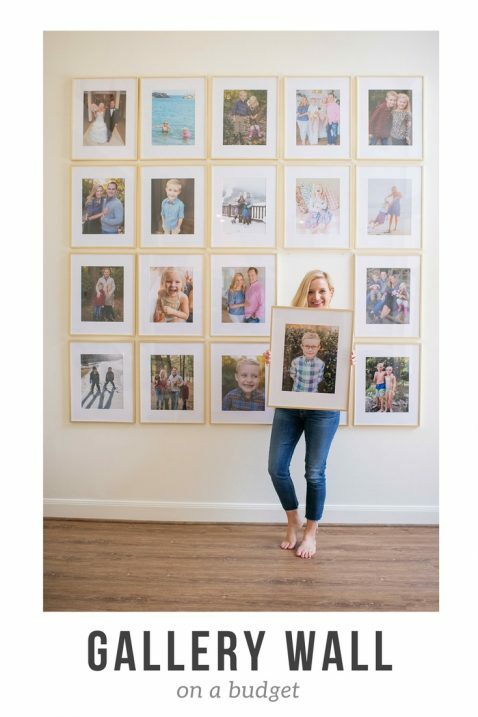 I ordered 20 of them that day and at under $30 a pop, my gallery wall came to life! 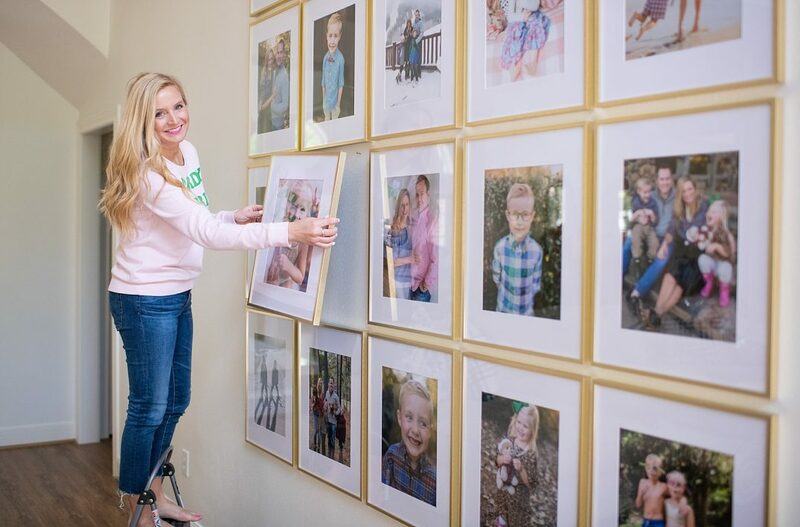 Let me tell you about how I created my gallery wall on a budget! My wall is large, so I need lots of frames. I ended up getting all my frames, shipped and all for about $600! Can you believe that?! That would’ve been like two frames from the other places I first looked. Our original plan was to do 4 rows of 4 frames. After they started hanging them, we quickly realized we needed one more row because the wall is just so large! Thankfully, I had ordered extra frames and extra pictures, so for the most part, we could easily add another row! 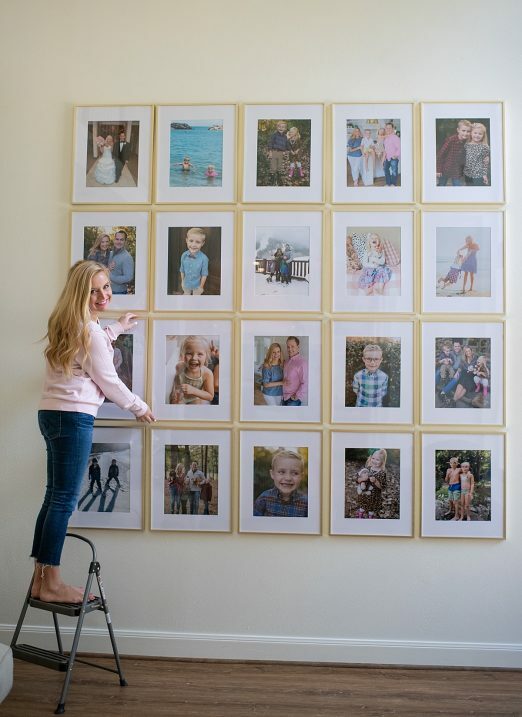 Now, don’t get me wrong, you could do a similar gallery wall on any size wall. You can change the size of the frames and the amount you use! These frames come in lots of sizes. 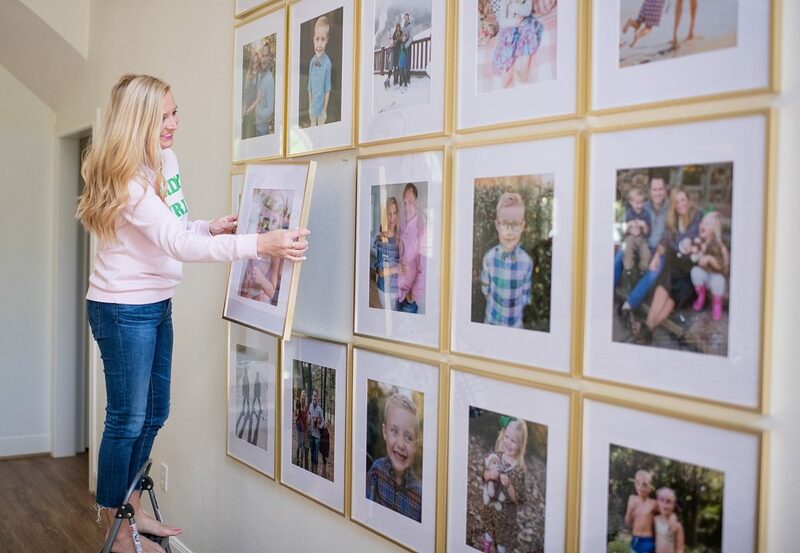 I knew I wanted huge frames, because it was a huge blank wall, so I went with 11×14 (overall 16×20) and theu were perfect for this big space that we needed to fill! – Decide if you want to do vertical or horizontal photos. We did vertical and it was definitely tough to find pictures in vertical form. I’ve realized lots of photographers seem to take more horizontal photos. 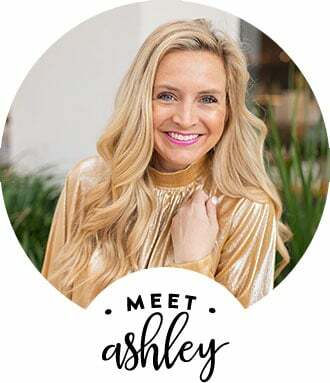 Be sure to ask your photog to grab some vertical each time you take pictures, so that you have them for a space like this! – For as many frames as I needed for the project, no matter what, it was going to be a heftier cost. That being said, it can be scaled down price wise by using less frames. – I used mpix.com for our photo printing. I think I spent another $150-200 on photos. I ordered lots though and more than we needed because I couldn’t decide which pictures I wanted to use. 🙂 You can also sometimes turn a horizontal photo into a vertical if there’s enough space, so this was another awesome aspect of this site. – My handyman used a leveler like THIS. 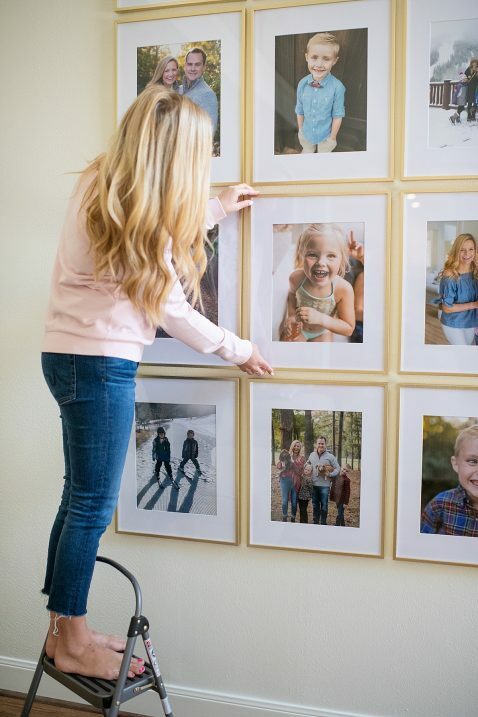 It squared off the wall and made it easier for them to hang. They hung these in no time. I think it would’ve taken Mr. Fancy and myself a LONGGGGG time to figure it out. I’m glad we hired this part out. That being said, if you are handy or have a handy hubby or friend, this could totally be a DIY project. We know our limits though. Ha! 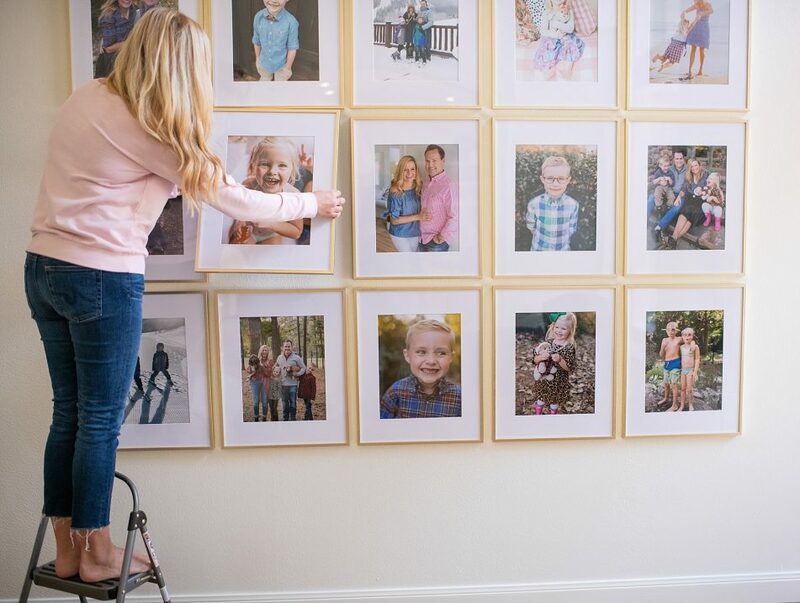 – We had them hung easily with two nails each, so that I can easily take them off the wall and change out photos. I think this is key, so that over the years, we can change them as we want! 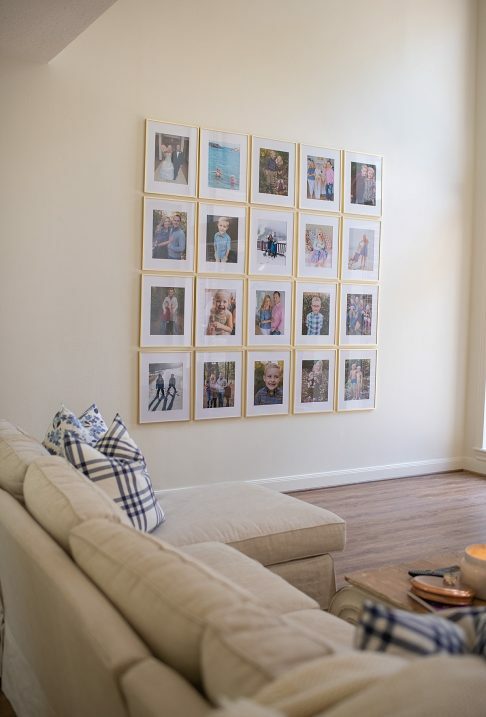 – You can easily create a similar gallery wall on a smaller wall! 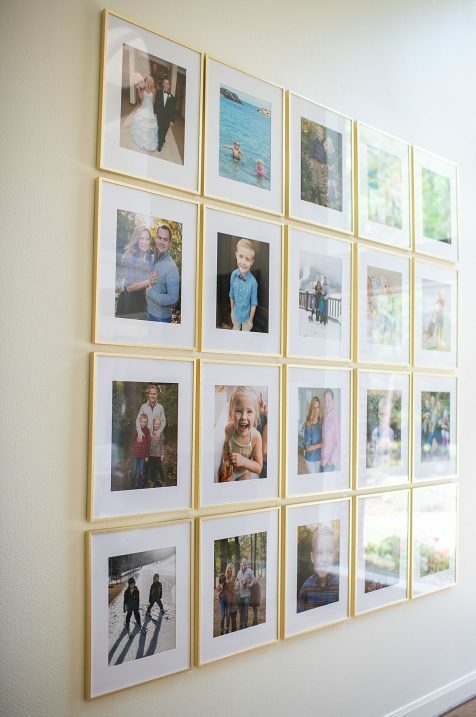 You could definitely add less frames and even 2 rows of 3 FRAMES this size would be fabulous! My point is, you can make something similar work on any wall size! – Don’t love my brass FRAMES? I’ve linked a few other options below in different metals and color options! Just click the picture to shop each item directly! I am so thrilled with how this wall turned out! I am not a huge artwork person, but I truly love pictures of my people all over the house! I am thinking of adding another wall like this in our TV room upstairs. I just love the color and life that it brings to a room. And truly, these pictures make me smile! It’s so fun to look and the pictures and remember the moments that they were taken. Teddy and Reagan love the pictures too. They’ve had the best time looking at all of the pictures. I really hope this gives you some inspiration for your own home. I’m truly thrilled that my vision came to life and that I was able to do it for SO MUCH less than I originally thought. 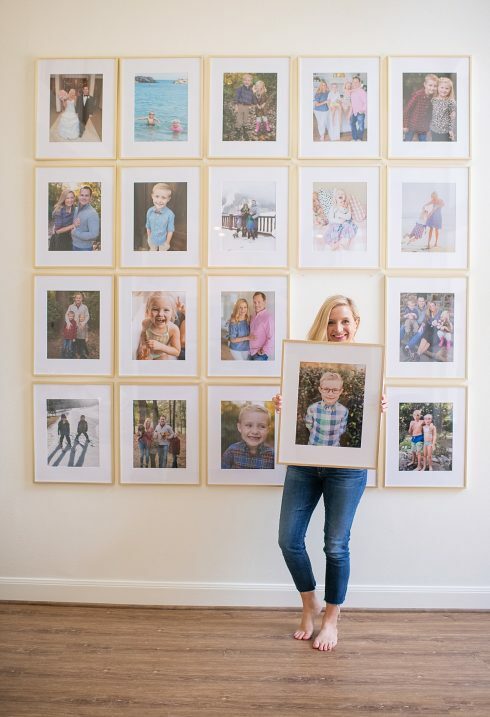 Let me know if you have any questions and definitely send me pictures of the gallery wall ideas you create in your own homes! I’m excited for you all to have walls like this! Such a bright and happy thing to add to a home! Have a great day! XO! Looks like the frames are now on sale! 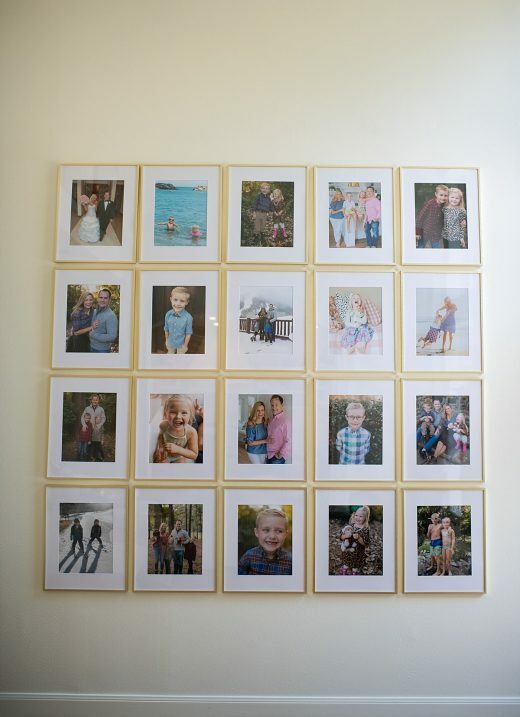 I have this exact photo gallery in our living room also! 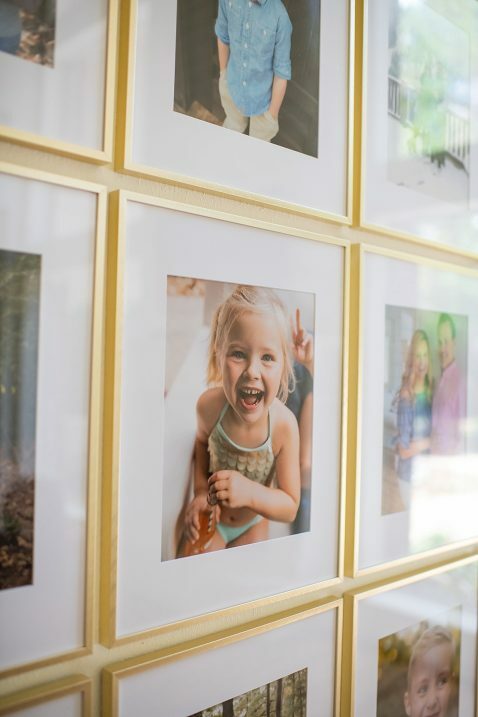 🙂 I’m thinking of moving it upstairs b/c we have a SUPER long hallway, and I want 1,000s of these frames going down it. 🙂 Love pics of my family everywhere. Quick question…did you get this on super sale? 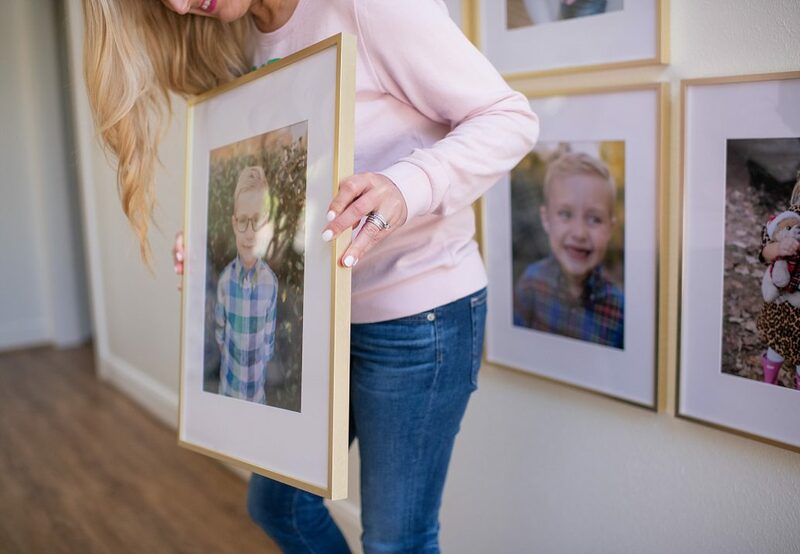 the 11X14 are showing to be $29/frame, and you mentioned you got them for under $20. Just curious if you found a better deal somewhere at Target??? Thanks! Love this! I also love ALL the family photos over art. Hoping I can do something like this too! Thank you! 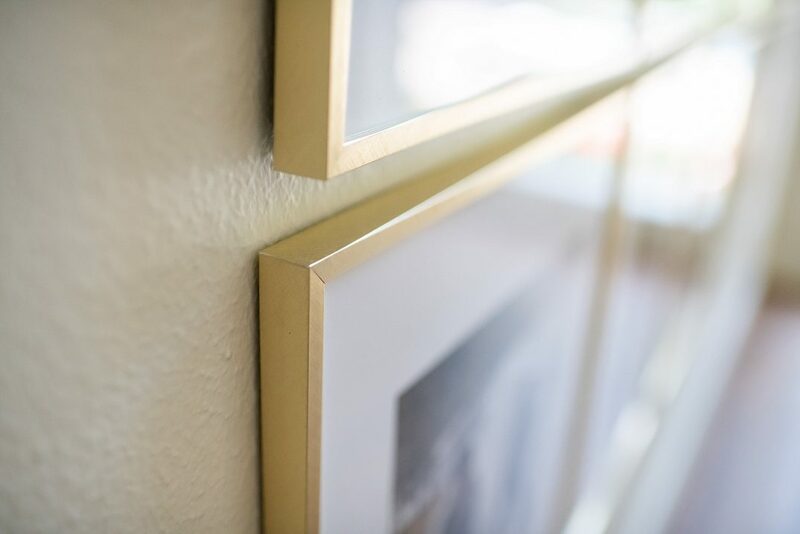 Great frames for an affordable price! Couldn’t help but notice your sofa with chaise…I’m on the search for one in a similar color, shape. Would you mind sharing yours, and if it’s comfortable and durable for kiddos? Wonderful idea! You did a great job.